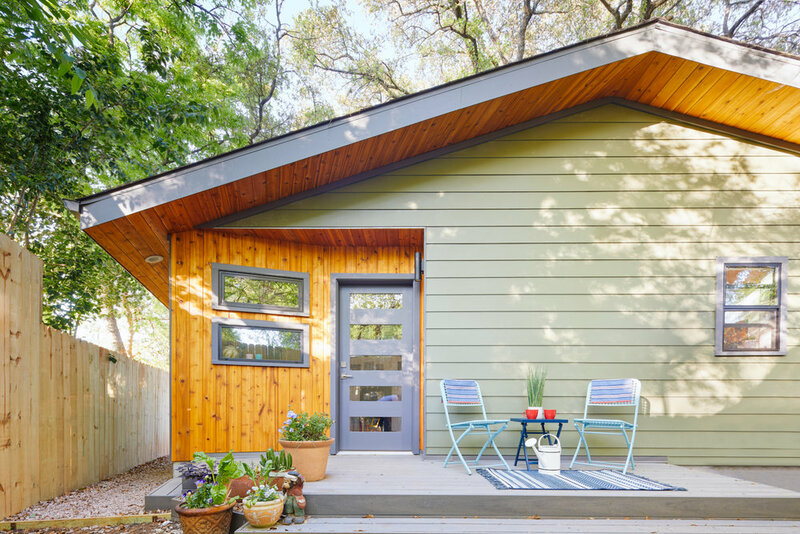 Cockburn Casita is a modest 400 sf tiny house designed for our client's mother to live on the property. 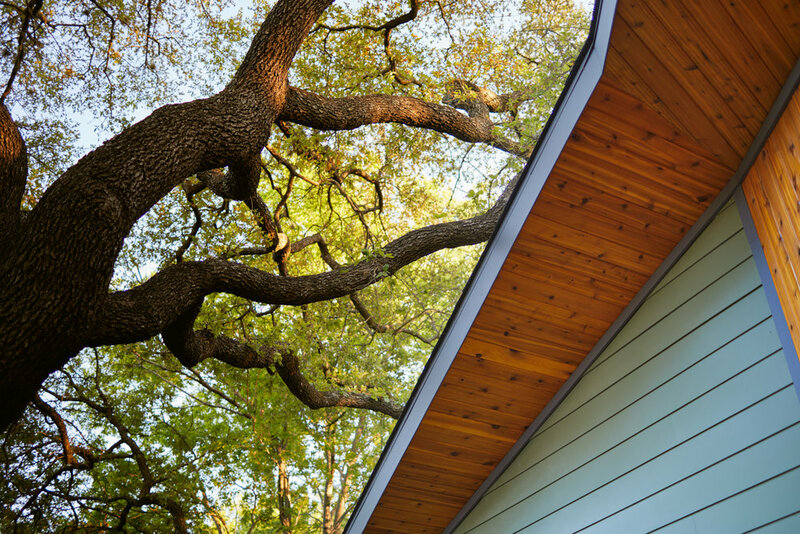 The casita had to sneak between setbacks, easements and two large Live Oak trees. 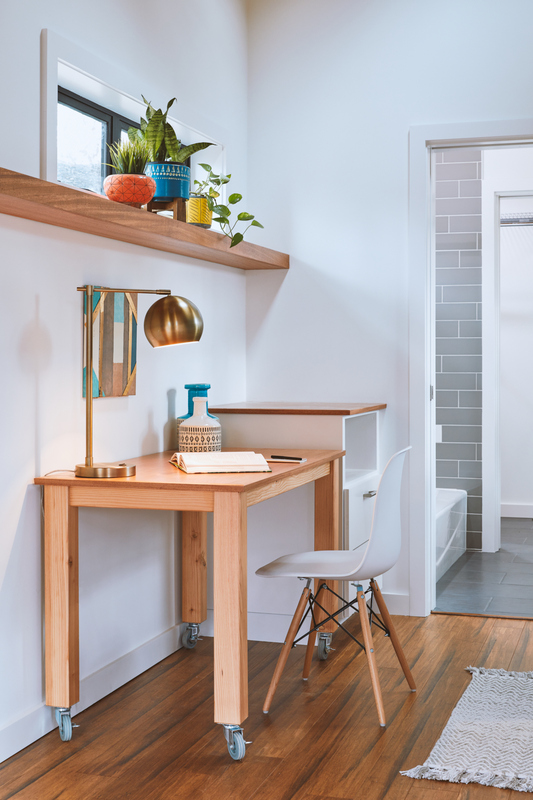 The project breaks the program apart into two rectangular volumes that are held together with an angled wood wall. 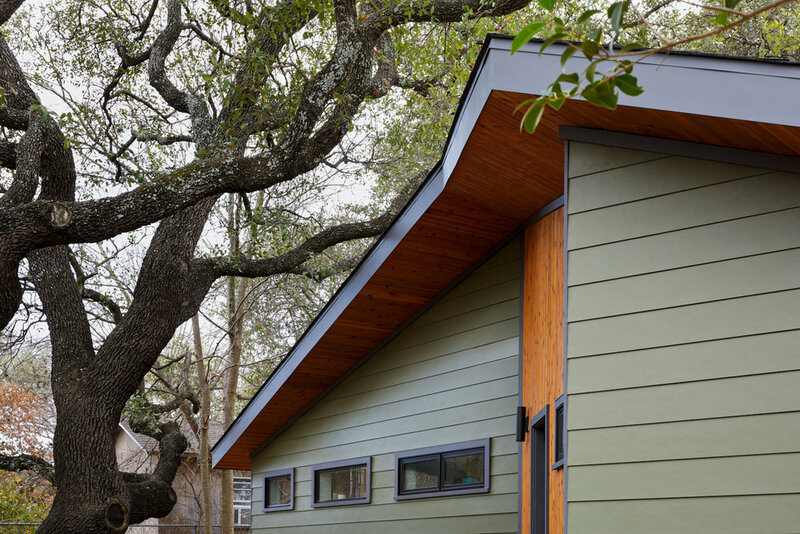 In plan, the project extends around the two Live Oaks as if to reach its arms around for a hug, creating an areain the backyard as an outdoor common space for the clients, family, & friends. 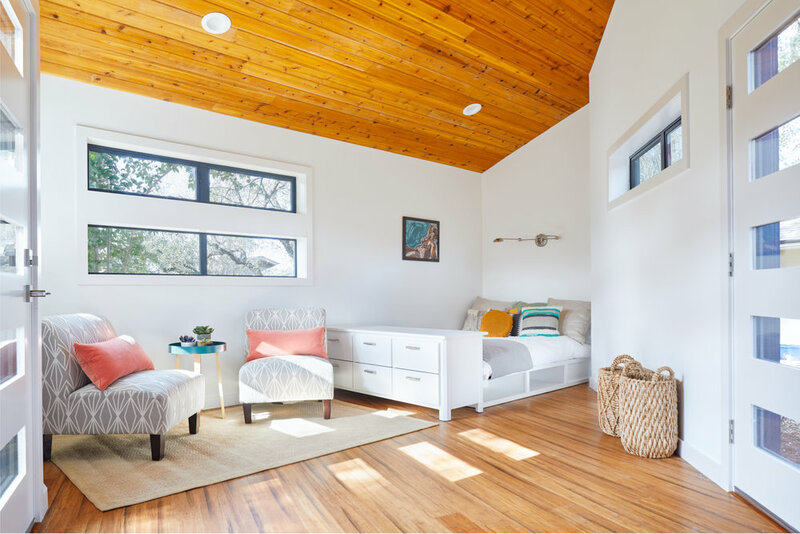 The windows are a collection of higher awning and slider windows that provide privacy and encourage cross ventilation to bring in fresh air and decrease energy usage, while framing views of the Live Oak canopies from anywhere inside of the Casita.